If you want to easy test your network connection to Skype for Business Online and Microsoft Teams server from a GUI perspective?This is possible with a tool created by Korneel Bullens and is located in the Network Planner inside FastTrack. The setup is really easy and the outcome is very clear. You must have a local Administrator account to install. You’ll need to enter Y at two prompts, one for the NuGet provider and one to accept the repository’s being untrusted. 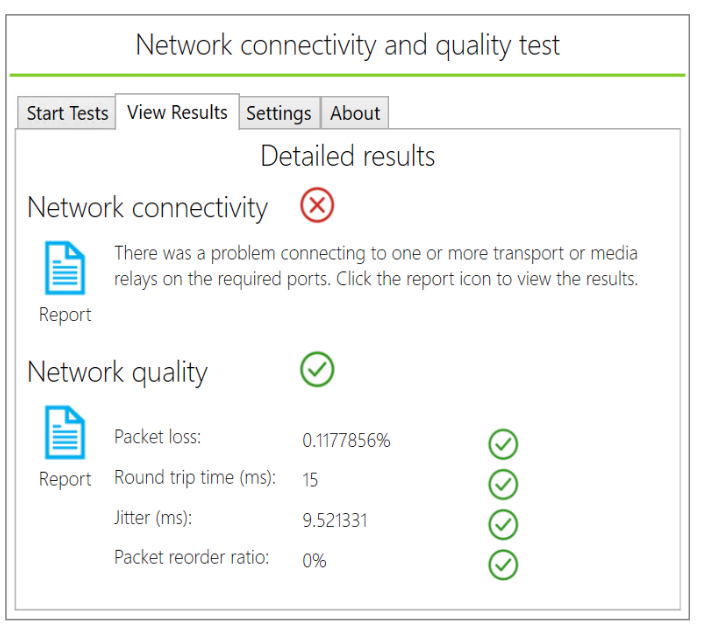 To start the Network Testing Companion, select the icon on your desktop or Start menu. When you don’t have the Network Assesment Tool installed click install first (green button). Now let’s start the assesment. On the upper left side of the screen, you can see if your OS is supported, and on the second block (right) if you have a working internet connection. The first block below on the left shows your compatibility for Teams/Skype devices and the right one checks your Network assesment tool (if installed, when not installed this needs to be done first, will be explained later). 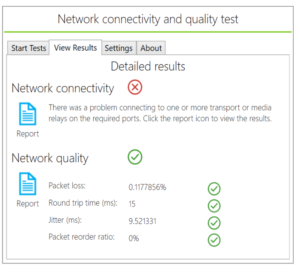 To start your connectivity and quality test click the green button with Start. As you can see, the Connectivity test failed. Now click the “View Results” tab to show the full report. Click the report icon to open the results. In the report you will see all the tested IP addresses by Microsoft. In above example i blocked some outgoing traffic in my firewall. Delete shortcut on your desktop.